Before you proceed further and be ahead developer of Big Data ecosystem, you must have vital information on the terminologies, associated with this sector. 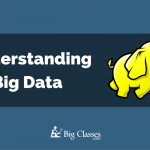 It helps you to know everything about Big data and its terms, too. With passing time, Hadoop works as the main brain and spinal cord of Big data ecosystem. 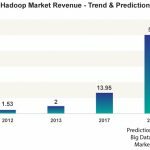 Loads of new technologies are currently emerging, and have further integrated with the Hadoop sector. 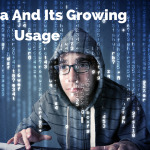 Therefore, it is vital to understand more about the big data architecture, and get to learn about the Essentials of Hadoop structure, as well. 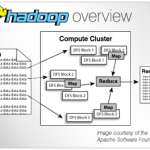 While working on Hadoop, you might have come across Apache Hadoop software library. This is mainly considered as a framework, which helps in offering you with distributed processing of larger datasets. It forms across a cluster of single programming models and computers. The main aim of this software library is to scale from the current single servers to various machines. Each one of the sector offers local storage and computation values. 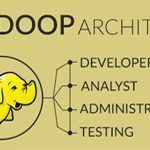 There are some leading components, which you need to be aware of while working on Hadoop Ecosystem. Some of the basic options are HDFS, Map Reduce, pig, hive, flume, scoop and the list goes on. 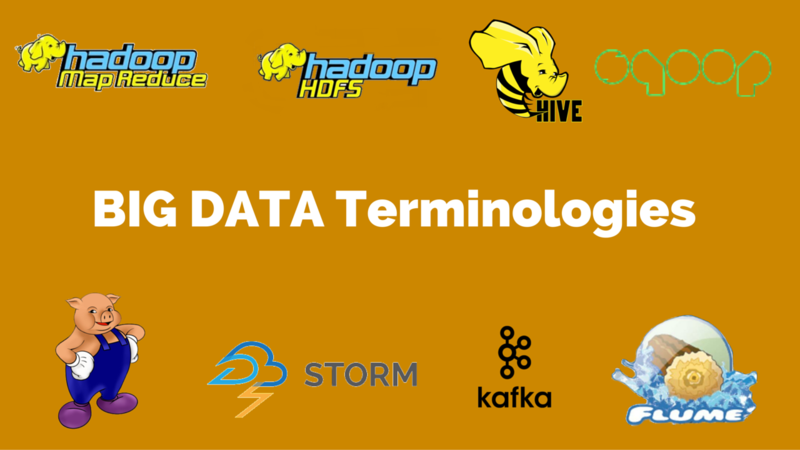 The more you understand about these sectors, the better information you will receive on Hadoop terminology. It is a programming model, which is implemented mainly for processing larger data sets on Hadoop cluster. This is mainly termed as core Hadoop framework component and can be processed in Hadoop 1.0 version only. This framework further comprises of two different parts; map and reduce. The map helps different points to distribute work in the distributed cluster. On the other hand, reduce is primarily designed in the reduction of the final cluster’s result form into a single output. The primary advantage of this framework lies with the fault tolerance level. Here, the current periodic reports from various nodes in the cluster are expected to work whenever the work gets completed. This framework is mainly inspired by the Map and Reduce functionalities. On the other hand, the computational process takes place on data storage sector in the file system, or within the database. It takes help of some key values and set output key sources. Various programs and jobs associated with map reduce are taking place on a daily basis on Google Cluster. These programs are parallelized automatically and executed on larger commodity cluster base. This program is further used in the distributed sort, grep and in some of the web link graph reversal. You might even have to take help of this map reduce framework in machine learning, web access log statistics, machine translation and document clustering. Let’s start with the first and major component of Hadoop, termed as HDFS or Hadoop Distributed File System. It helps in providing the clients with higher accessibility to applicable data. During most of the time, Data is primarily broken into smaller blocks and distributed through this cluster. Here, you can incorporate the map reduce functionality on smaller subsets of data sets. It helps in offering the sector with scalable needs for big data processing. Mostly defined as Apache Hive data warehousing software, Hive is mostly used for facilitating querying sectors, it is further used in managing larger datasets, which are allotted within distributed storage. It helps in offering you with a mechanism, used for querying data with the help of SQL like languages. These are primarily termed as HiveQL. On the other hand, this language is further used for allowing the traditional map-reduce programmers to work in the custom mappers and reducers for expressing their logic in HiveQL. Most of the enterprises or organizations, which are taking help of Hadoop framework, might find it necessary to transfer some of their files from the traditional RDBMS to the current Hadoop ecosystem. During such instances, sqoop come into being. It is an integral part of this Hadoop system and used for transferring the file in automated version. On the other hand, this data imported can also be transformed into Map Reduce before exporting the same to RDBMS. This terminology is also used for generating Java classes for interacting with some of the imported data programmatically. 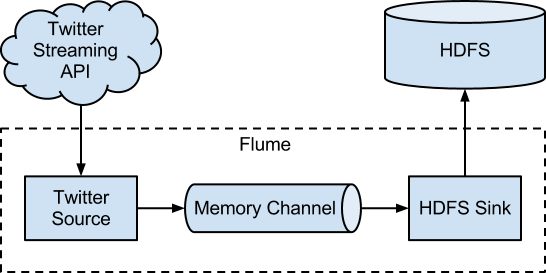 It uses a significant connector based architecture, which helps in using plugins for connecting to an external database. Pig is a significant part of Hadoop and mainly termed as data flow language. It helps the users to write some of the complex map-reduce operations in the simple and easy to understand scripting language. After that, it is the job of Pig to transform the scripts into the current map-reduce jobs. It is a significant learning medium for the beginners in the Hadoop sector. This is mainly termed as real-time and distributed computation system, used for processing larger volumes of data with higher velocity. The storm is known for its faster work and can be used for processing millions of recorded data on the second scale and modest-sized cluster. Enterprises also help in harnessing the speed and combining it with other forms of data accessing applications. It helps in preventing any form of undesirable events and optimizing positive results. In case, you are willing to stream logs into Hadoop; Flume is the main service to work on. It is considered as a significant part of Apache. It is further termed as a reliable, distributed and available service. It helps in collecting, moving and aggregating the larger amount of data in an efficient manner and into the current HDFS values. Also defined as a significant part of Apache, Kafka helps in supporting wide ranges of cases. Some of the options are the generalized purpose of a messaging system for any scenario. It even works on the reliable delivery service and with horizontal scalability, as some of the other features. Storm and HBase, both can work proficiently with Kafka base. 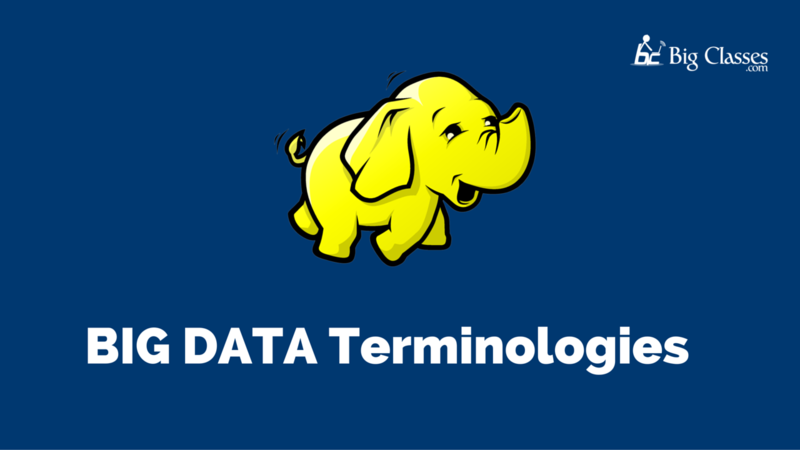 These are some of the important Hadoop related terminologies, which you must know, before working as a developer or software tester. Unless you have any reliable knowledge in this sector, it becomes hard to work with the flexible changes taking place.